Forget about monetary policy for a moment or two, and imagine, instead, that you’re back in 6th grade. You and your classmates are about to go on a camping trip, involving some strenuous hiking, and lasting several days. Somehow, your teacher must see to it that all of you are kept well fed. To do so, she plans to appoint one of you Class Quartermaster. The school’s budget is limited, and rations can get heavy, so there will only be so much food to go around — so many hotdogs, baked beans, scrambled eggs, peanut butter sandwiches, and granola bars. The Quartermaster’s job will be to make sure it all gets divvied-up fairly and efficiently. The catch is that your classmates are a motley bunch. Pete Smith, the football team captain, is even taller than the teacher, and otherwise built like an old oak tree. His body goes through fuel like a small steam locomotive. Mary Beth Johnson, on the other hand, looks like a gust of wind might carry her off, and eats so little that she doesn’t mind Peter grabbing her grilled cheese sandwich on tomato soup day. The rest generally fall between those two extremes. But just how several days of hiking will affect all their needs is anybody’s guess. Still the food has got to be rationed somehow. And the class must decide how before a drawing of straws determines who will be Quartermaster. Will it be Jane “Goody Two Shoes” Miller, the teacher’s pet, or Wesley “The Weasel” Jones, who, though never caught red-handed, is widely suspected of cheating on his tests? Or could it — perish the thought! — turn out to be the ravenous Pete Smith himself? Whatever the choice, the class will have to live with it once the straw poll has been taken. After some discussion, the class decides to vote for one of two options for rationing the food. The first is to simply let the Quartermaster dole out food according to his or her best judgement. That option will make it possible for the limited provisions to be used efficiently, with Pete Smith getting the bigger helpings he needs, and Mary Beth getting less, assuming that less suffices. The second option is to insist that the Quartermaster give equal rations to everyone, big, small, or in-between. That’s bound to be inefficient, of course. Still, it can easily beat having Wesley or Peter decide! So, which option will you vote for? If you settle for the first, you favor a “discretionary” rationing policy; if the second, you favor a rationing “rule” over discretion. The point of the camping trip story is that neither of the two alternatives — rules or discretion — is obviously better than the other, let alone perfect. Instead, the task you and your classmates faced was that of selecting the lesser of two evils. The long-standing debate between proponents of monetary rules on one hand, and defenders of monetary discretion on the other, should likewise be understood as a debate concerning the lesser of evils, that is, the least-bad choice among inevitably imperfect alternatives. Only a fool would want to force monetary authorities to cling to a rule that could only serve to rule-out better policy choices. But real-world monetary authorities are capable of screwing-up for all sorts of reasons. Just as our Class Quartermaster might misjudge his or her classmates’ caloric needs, they might misjudge an economy’s need for monetary accommodation. And just as the Quartermaster might be inclined to favor particular students, or the teacher, over others, so too might monetary authorities cater to special interests, including the government, instead of doing what’s best for the public taken as a whole. For these reasons one can’t just dismiss the case for a monetary rule by observing how unhindered monetary authorities might improve upon it. Yet such dismissals are encountered surprisingly often, especially (though here their presence is perhaps a little less surprising) in the statements and writings of monetary authorities themselves. Not long ago, for instance, Fed Chair Janet Yellen responded to the suggestion that the FOMC follow a monetary rule by observing, with supporting figures and charts, that “rules often do not take into account important considerations and information.” Following one mechanically, she said, “could have adverse consequences for the economy.” Of course Yellen’s claim is correct. But whoever denied it? Certainly no proponent of monetary rules ever did. The argument for a monetary rule isn’t that sticking to such a rule will never have adverse consequences. It’s that the adverse consequences of sticking to a rule may be less serious than those of relying upon the discretionary choices of fallible monetary authorities. Let’s have a closer look at some reasons why unfettered monetary authorities can’t avoid making mistakes. The most fundamental reason is that, despite all the statistics and other information available to them, monetary authorities generally lack the knowledge required to choose the best possible policy stance. is just the opposite. There would be no need for reliance on a rule if the economy were fully understood. The less we know about the specifics of a situation, the more we must rely on rules. A good rule incorporates the general features of a class of situations, in which the specific features vary unpredictably. If we possess full information, why would we want to rely on a rule? While O’Driscoll’s version of the limited-knowledge argument for a monetary rule draws on Friedrich Hayek’s famous essay, “The Use of Knowledge in Society,” the arguments of Milton Friedman — perhaps the best-known proponent of monetary rules — are (as O’Driscoll notes elsewhere) similar in spirit. So far as Friedman was concerned the main challenge facing monetary policymakers was that of keeping their own actions “from being a major source of economic disturbances.” He considered a monetary rule the best means for meeting this challenge, in part because such a rule would make monetary policy more predictable, thereby avoiding unsettling policy surprises and the uncertainty that the very possibility of such surprises engenders. Friedman believed, furthermore, that discretionary policymakers’ attempts to improve upon a rule were likely to backfire, not only because they lacked needed knowledge of existing circumstances, but because of the “long and variable lags” that stood between their decisions and those decisions’ ultimate effects on spending, inflation, and employment. A decision to ease monetary policy today, based on information suggesting that money is or may be getting tight, could end up making money too loose months from now, when the decision has had its greatest impact on the money stock, because the demand for money has since subsided. The problem is especially likely during recoveries, when central bankers are loathe to stop administering monetary medicine until their patient displays robust health. The opposite problem — of money becoming excessively tight in the midst of a crash — is also common, because central banks often come to realize that their policies have been too loose, and therefore decide to tighten, just as asset prices that had been bolstered by their formerly loose stance are set to come crashing down. Even if they could command the necessary knowledge, monetary authorities might fail to choose the best policies for political, bureaucratic, or psychological reasons. Among such unwelcome influences, political pressure reigns supreme. 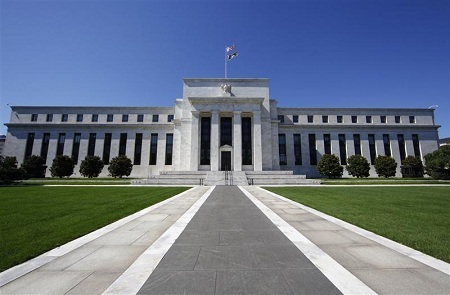 No matter how nominally “independent” they may be, central banks are creatures of legislation, and as such depend on government support for whatever powers they possess. They who give, can take away; so central bankers can never altogether avoid having to set-aside their preferred policies for the sake of mollifying those government officials who are in a position to punish them or their institution. That even nominally independent central banks have often acted as if they were mere backscratchers of fiscal authorities, especially by taking part in inflationary wartime finance, is only the most obvious example of their tendency to set-aside sound monetary policy for the sake of accommodating their sponsoring governments’ fiscal needs. That tendency is not surprising, given that fiscal accommodation of governments was the very raison d’être of all early central banks. The Fed is no exception to this rule: it helped to finance every one of this country’s major post-1913 military conflicts, though doing so meant tolerating high rates of inflation. Nor has the Fed been immune to peacetime political pressure, especially from Presidents. That during the 1971 Presidential election President Nixon pressured then Fed Chairman Arthur Burns to ease policy to boost his prospects for re-election, despite mounting inflation, is notorious, thanks mainly to the Nixon Tapes, which leave no room for doubt concerning what took place. But Burns’ conduct, far from being exceptional, was of a piece with the by then well-established understanding of the Fed’s limited independence as “independence within government,” as Burns’ predecessor, William McChesney Martin, described it. In essence, Martin was saying that, although the Fed was independent, it could remain so only if it occasionally did whatever the government wanted it to do! In short, although it’s tempting to assume that an “independent” central bank is one that’s not operating under the sway of government officials, the truth is that, so long as central bankers enjoy discretionary powers, government officials will try to influence their decisions, and will succeed in doing so at least to some extent. To truly insulate monetary policy from short-run political influences, something beyond central bank independence is needed, that can rule-out any tendency for central bankers to pander to their own overseers — something like an inviolable monetary rule. It’s well established, to offer an analogy, that doctors tend to over-prescribe both drugs and tests, and also to have patients admitted to hospitals more often than is in their own interest, because existing insurance arrangements are such that, by doing those things (“something”) they can both earn more and reduce their risk of being sued for malpractice. Although central bankers can’t be sued for malpractice (alas), they have their own reasons for insisting on doing “something” whenever one of their patients — entire economies — so much as sneezes. The same central bankers are, on the other hand, all too inclined to refrain from taking action to address troubles brewing in an economy that seems all-too-healthy. Besides coming up with “independence within government,” Martin also memorably compared a responsible central banker to a chaperone whose unenviable responsibilities included that of having “the punch bowl removed just when the party was really warming.” Unfortunately the quip has gained notoriety mainly as a description of what discretionary central bankers often fail to do. There are plenty of other reasons why central bankers might misuse their discretionary powers, including various psychological biases to which they might be prone. Drawing on the field of behavioral economics, Mark Calabria, the Cato’s former Director of Financial Regulation Studies, has discussed several of these potential biases; so has Andrew Haldane, the Bank of England’s Chief Economist. Status-Quo bias, Myopia bias, Hubris biases, and Groupthink, are just a few of the afflictions they consider. Just how serious these afflictions are in practice is an open question. But the likelihood that central bankers suffer from at least some of them supplies that much more reason for entertaining the possibility that the right sort of monetary rule might outperform monetary discretion. The case for a monetary rule, as I’ve summarized it so far, rests on the claim that central bankers may lack either the information required, or the inclination, to pursue the best possible monetary policies. But according to a now-famous paper by Finn Kydland and Edward Prescott, even omniscient altruists, left to manage the money supply as they think best, might be bested by a monetary rule. That’s so because of what Kydland and Prescott call the “time-inconsistent” nature of optimal monetary policy, which can prevent even well-intentioned and well-informed central bankers from carrying-out their preferred plans. To illustrate the problem, Kydland and Prescott imagine a case in which inflation, deflation, and unemployment are all considered undesirable. An unexpected burst of money creation can, however, make everyone better off by temporarily reducing unemployment, albeit at the cost of a one-time increase in the price level. Were the public naive enough to go on believing the central bankers’ promises no matter how often these were broken, the central bankers’ best strategy would be to trick them again and again, thereby achieving a permanently lower unemployment rate, albeit at the (perhaps worthwhile) cost of a higher inflation rate. But hoodwinking the public, even for its own good, isn’t so simple. The public will eventually come to anticipate the central bankers’ inflationary strategy, assuming it isn’t smart enough to divine it from the get-go. Either way, instead of allowing them to make everyone better off than they might by sticking to zero inflation, the discretion the central bankers exercise ends up trapping them in a high-inflation equilibrium, with no employment gains at all, because they find that they must either continue to live up to the public’s positive inflation expectations, or surprise them with a non-inflationary policy that will lead, for some time, to higher-than-necessary unemployment. Is it possible for our central bankers to avoid the trap that Kydland and Prescott describe? It is, but to avoid it they must renounce their discretionary powers, and instead commit the central bank to a strictly-enforced zero inflation rule. Unlike central bankers’ mere promises, an unbreakable rule will necessarily be “time consistent.” Consequently the public has no reason to anticipate any deviation from it. Just as Ulysses was only able to resist the Sirens’ call by having himself lashed to the mast, our altruistic central bankers are only able to avoid being drawn into an inflationary equilibrium by renouncing their freedom to “fine tune” monetary policy. Showing that a monetary rule might outperform discretionary central banking is one thing; identifying a particular rule that’s likely to do so is another. Indeed, it’s fair to say that, of countless monetary rules that have been proposed at one time or another, the vast majority would eventually have led to some extremely undesirable outcomes, if not to outright disaster. Furthermore, having a monetary rule, however rigid or flexible the rule may be, doesn’t necessarily mean having one written in stone: provisions can be made for a rule’s periodic reconsideration and revision, according to a regular schedule, or in response to designated circumstances, and following agreed-upon procedures. One can, in other words, combine a monetary rule in the ordinary sense of the term with a “meta” monetary rule for revising the rule over time. In short, to think clearly about the relative merits of rules and discretion, it’s important to realize that there are many weigh stations between the extremes of an inflexible and unalterable rule on one hand and unalloyed monetary discretion on the other. If discovering a reliable monetary rule has been harder in practice than it appears to be in theory, that’s largely because of confusion regarding the appropriate, ultimate objectives of monetary policy. Keynesians have, on the one hand, tended to insist on a “full employment” objective, while (old-school) monetarists have, on the other, insisted on the need for low (if not zero) and steady inflation. Some monetary rules, like Taylor’s, attempt to strike a compromise between these positions. If you ask me, such compromises, for all their practical merits, still have economists barking up the wrong tree. The belief that inflation and deflation are necessarily bad, and the related belief that a constant (if not necessarily zero) inflation rate is better than a varying rate, are both widely subscribed to, even among professional economists. Those beliefs are nevertheless mistaken: as I’ve suggested in previous chapters of this primer, and as I’ve argued at some length elsewhere, there are good reasons, and plenty of them, for letting the inflation rate vary along with an economy’s productivity, so that in more-productive times prices rise less quickly, and perhaps even decline, than in less productive ones. The goals of “full employment” and its close counterparts, including “potential” output, also leave much to be desired as guides to sound monetary policy, in part because they’re nebulous, but also because theory tells us that even if they weren’t so, attending to them alone wouldn’t suffice to “pin down” monetary policy in the sense of establishing a uniquely desirable path for either the money supply itself or the price level. Instead, many such paths might be equally capable of keeping employment and output close to their “full” or “potential” levels. So, what should monetary policy aim for? I’ve said it before, and I’ll say it again: it’s aim should be the stable growth of total spending in the economy. Let spending grow at a steady rate, roughly equal to the rate of growth of the labor force, and the inflation rate will vary only as productivity varies, which is what it ought to do. At the same time, employment, though perhaps less than “full” according to some other criteria, will not be so on account of any lack of spending, and will therefore not be so in any way warranting further doses of monetary medicine. While devising a monetary rule that strikes a correct balance between the supposed “wrongs” of price level movements on one hand and less than “full” employment on the other may ultimately prove as intractable a problem as squaring the circle, devising one that’s consistent with preserving a stable level of spending is, comparatively speaking, child’s play. The challenge consists of getting both Keynesians and Monetarists, as well as others, to agree that stability of spending, rather than any particular values of inflation or unemployment, ought to be the ultimate objective of monetary policy.